George Clooney is hosting a $12 million fundraiser for President Obama’s re-election campaign. Bill Maher gave a $1 million contribution, making him the campaign’s biggest individual donor. Eva Longoria has been made campaign co-chair and is doing serious outreach to the Hispanic community. It is clear that President Obama is emphasizing celebrity support in his campaign for re-election. An extraordinarily high number of celebrities have “maxed out” – given the biggest contribution available under federal election law – to his campaign, including Judd Apatow, Seth Rogen, Tom Hanks, and Steven Spielberg. It is easy to see why Obama is putting such emphasis on his celebrity support. Hollywood is the one major industry that does not support the pro-business Romney, and celebrity support can help generate the enthusiasm in young people that lifted Obama to the presidency in 2008 but has been dampened by the political compromises of his first term. Clooney’s public show of support came at an important time – when other liberal celebrities, including one of Clooney’s best buddies, were questioning Obama’s leadership. It is clear that Clooney’s public defense of Obama has earned him some goodwill When he was in DC last month to protest outside of the Sudanese Embassy, he had a private meeting with the president and received a seat at the head table at the State Dinner for English PM David Cameron. Now with this record-breaking fundraiser, Clooney may have earned even more: a place in Obama’s inner sanctum. If Obama wins a second term, Clooney will have a very sympathetic ear in the White House. He would hardly be the first celebrity to work behind-the-scenes for a candidate. 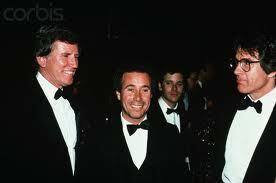 Most famously, Warren Beatty was a major political player in the Democratic party for parts of three decades. After advising Bobby Kennedy in 1968 and George McGovern in 1972, Beatty had the biggest influence on the campaigns of his close friend, Sen. Gary Hart. Beatty was a senior advisor to Hart, who ran for the presidency in 1984 and 1988, and specialized in shaping the campaign’s message. The movie star helped to turn Hart into a surprisingly viable candidate in the 1984 election. Although he ultimately lost the nomination to Mondale, he surprised everyone with a close finish in Iowa and a win in New Hampshire. Hart’s relationship with Beatty, however, may have also been his undoing – after spending much time with legendary womanizer Beatty in Los Angeles, Hart was caught in an illicit affair that brought down his 1988 campaign. But it is clear that Hart would never have risen as far as he did on his own. He was an intellectual and a policy wonk; Beatty’s role was to break his ideas down into easily digestible terms. Obama certainly does not need any help in that area – communicating with voters has always been his strength. But a campaign can never have enough money, especially now. The recent Citizens United decision allows unlimited corporate contributions to political campaigns; most everyone assumes that the bulk of those contributions will continue to go towards Republican candidates, especially the pro-business Mitt Romney. To even the balance, Obama is hitting up the one industry whose multi-millionaires still love him: Hollywood. If he wins a second term, people like Clooney, Maher, and Longoria will have played their most significant role yet and may earn their best reward: the ear of a sitting, second-term president who has political capital to spend. Did Obama Rig the Oscars?